Even for a vacuum sealer it worth looking at sustainability. The acquisition costs are paying off. Quality products live longer and are fair produced other an anonymous cheap imports. Our daily food consumption has ecological, economic and social impacts. The more food is produced, the more burdensome are the production conditions for nature, animals and humans. A professional Lava Vacuum Packing Machine makes food durable up to ten times longer. By effective storage, food is less wasted. Less throw away means consuming less. This creates space for sustainable agriculture and resource-friendly production, which supply the food in sufficient quantity and high quality. 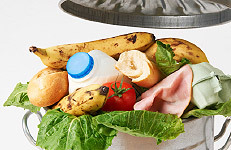 The EU has declared 2014 the "European Year against food waste". Almost a third of European food ends up in the garbage, even though they are still edible. Private households are the very front. Around 179 kilos EU citizens throw away on average. An ethical and ecological dilemma. Conscious use of food begins at the well-planned shopping. But the decisive factor is the correct storage. The Lava vacuum technique makes food durable up to 10 times longer. Whether fresh produced, precooked or preserved - a Lava Vacuum machine you do not have to throw away your food anymore. Vitamins are sensitive journeymen. Through contact with oxygen, light or heat they evaporate quickly. Spinach loses after two days in the refrigerator 25% of its vitamin C content. At room temperature, even 50%. The reason for the rapid loss is the natural metabolic process that is active even after the harvest continues. Therefore the rule for fruit and vegetables is: only fresh is healthy! In Lava vacuum bags the healthy nutrients are retained longer. The air withdrawal of a Lava Vacuum Sealer interrupts the oxidation processes and absorbs variations in temperature. Vegetables and co. remain longer fresh and healthy. Incidentally, the best durability and the least vitamin loss has vegetables when stored uncrushed. When shopping you should pay attention to regional products that have only short transport routes. 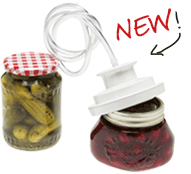 Lava Vacuum cover for jars only 19,95 Euro! 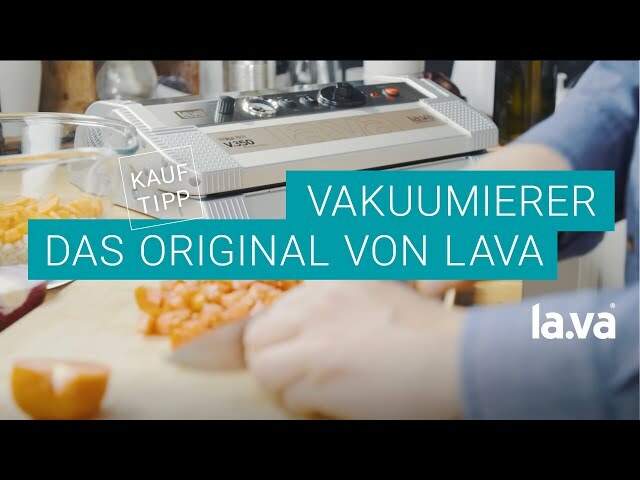 Lava Active - Recepies & films from Lava friends. V.100® Premium Vacuum Machine – iBest of the big Vacuum-Sealer Review: Very Good in test! V.300® Premium Vacuum Sealer – the bestseller, already tested: very good! V.300® Black Vacuum Sealer – the bestseller, also rated several times with very good! 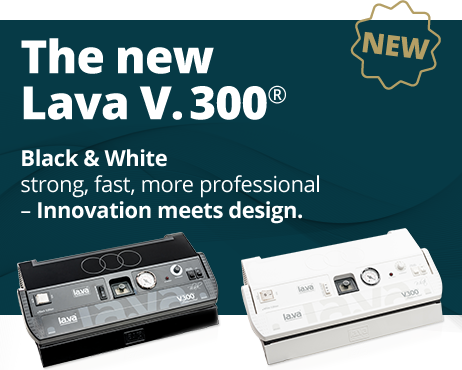 The best place to buy a high quality vacuum sealer is at the experts here at Lava Vacuum packaging, the famous German brand from southern Germany with over 250.000 satisfied customers, up to a 5 year warranty and a 25-year supply of spare parts guaranteed. The friendly team will help you competently in technical questions and application questions, after all you are at the experts and manufacturers at the same time. 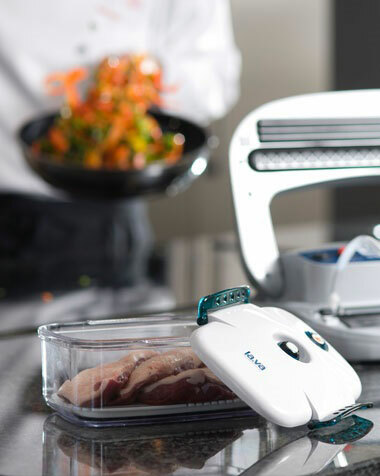 Many of our Vacuum Sealers were repeatedly tested in competitions and reviews with Very-Good! A bigger range of external Vacuum Packers, produced by one company you will not find anywhere else. All Vacuum Packers have their origin in our own development-department and are manufactured under strict quality guidelines. Lava is based on sustainable production and dispense it as opposed to competition in cheap imports from the Far East. Each Vacuum Sealer passes through the plant in a 100% inspection and functional tests before it leaves the company. Buy your Vacuum Sealer online, directly from the manufacturer with immediate availability. For purchase advice, we recommend our practical shopping helper. Your lifetime investment, guaranteed! Lava does not produce throw-away vacuum devices, you can find everywhere. A Lava does what it should, it works and nothing else. You can use a Lava in many different areas: Meat packaging, wine-vacuuming, vacuuming vegetables, fish packaging and food packaging. Vacuum packaging machines for industry can be found at Lava exactly as Vacuum Sealer for home and kitchen. 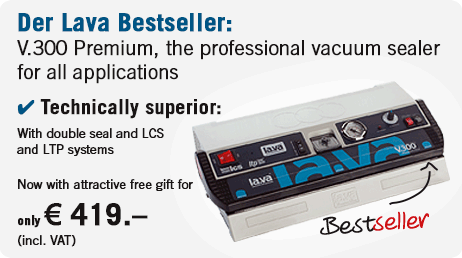 Lava pro vacuum devices are used much in the processing industry. The benefits are obvious: Protection against moisture and oxidation, by using extra thick vacuum bags and vacuum rolls. Preservation of the surface texture, also to prevent damage during transport through the stable vacuum bag. Meat (beef or venison) may be vacuum packed in a sturdy Lava vacuum bag up to 6 weeks in the fridge and 36 months in the deep-freeze. Open wine can be stored for up to 25 days by using Lava Wine-Vacuum-Sealing. A freshly caught fish can be kept using the vacuum sealing process up to 5 days in the refrigerator and even 36 months in the freezer. 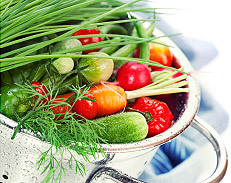 Salads, herbs and vegetables from the home garden can be vacuum-packed fresh and crisp for weeks in the refrigerator, even frozen up to 3 years. Quality, freshness, nutrients, appearance and taste are fully maintained and besides there's no freezer burn using the Lava vacuum packaging. 100% natural preservation additive, 100% free of plasticizers and 100% free of BPA, this all guarantees a high quality vacuum packaging with Lava. 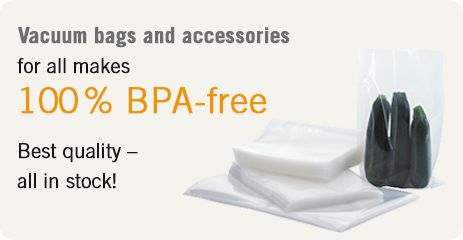 ESD Bags, ESD Shielding-Bags und ESD-Products. Lava offers especially for electronic components ESD films that provide reliable protection against electrostatic discharge and corrosion. For vacuuming of electronic components so-called Moisture Barrier Bags are used. Electronic components such as circuit boards are highly sensitive and must be handled with extreme caution. Of course Lava provides for such sensitive products an adequate solution for trade and industry. In addition to bags of standard size and all special sizes are available for purchase at Lava. The EMI Shielding bag of Lava are called Lava i-vac ESD vacuum bag and correspond in terms of vapor permeability and ESD category the standard required by the IPC / JSTD 33b guidelines and are therefore fully suitable for commercial and industrial applications. With Lava you can vacuum seal sensitive materials over many years. The device recommendation for welding of ESD / EMI vacuum films are the Lava vacuum machine V.400 Premium or V.500 Premium in stainless steel housing. Sous vide equipment are a modern trend in the kitchens. Particularly frequently Lava products are used to apply the sous vide cooking method. The vacuum sealer of Lava makes a high vacuum and the vacuum bags are heat resistant. 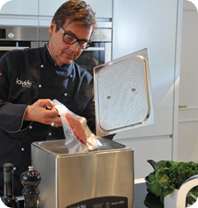 Lava recommends the sous vide range of Lavide which was developed for restaurant-chefs and finally is available as the affordable sous vide solution for your private household. Sous vide equipment, produced by Lavide convince through a very high temperature accuracy and a high quality finish. All Sous Vide equipment and accessories are available for immediate delivery - shop now!